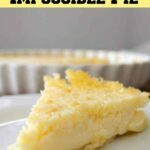 Lemon Impossible Pie! Incredibly easy to make and the flavor is amazing! Oh my! Lemon Impossible Pie is what we have today for you to enjoy! 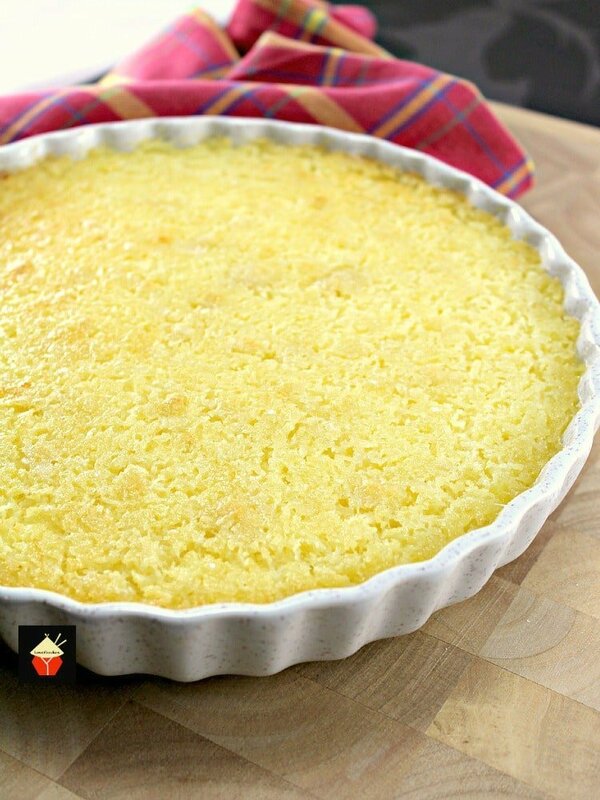 It’s an incredibly easy recipe and the combination of lemon and coconut is a pure delight! For those who have never tried an Impossible Pie before, you simply must! In a nutshell, it’s an egg custard type mixture with a few additions. When it bakes, it forms its own bottom crust (which has the texture of pastry) and also forms a crisp top crust. During baking, the coconut rises to the surface and that is what forms the crisp top layer. For this recipe, I’ve added a burst of lemon in there, hence the name, Lemon Impossible Pie. It is not so overwhelming that it will make you screw your eyes up from the sharpness. More of a gentle lemon flavor to marry up nicely with the coconut and take away some of the sweetness of the pie. So all in all, it is a nice gentle balance of flavors. Once you’ve baked this Lemon Impossible Pie, it is a good idea to have it chill overnight so it has time to set ready for slicing and also the flavors come together better. If you try to slice this when it is still hot, you will end up with messy spoonfuls of pie, so make sure you do let it set! I hope you enjoy this as much as we do. It would make a perfect choice for a party or potlucks, Thanksgiving and holidays. Please enjoy! 1. Mix all ingredients in a bowl using a spoon or hand whisk. 2. Pour into a greased and floured pie plate (about 8 – 9 inches size) and bake 350 F or 180 C or Gas 4 oven for 45 minutes. I place my pie in a baking tray in case of spills. 3. When done, the pie will be slightly wobbly in the center. Remove from the oven and allow to cool, then refrigerate overnight if possible. Serve on its own or with a blob of vanilla ice cream! 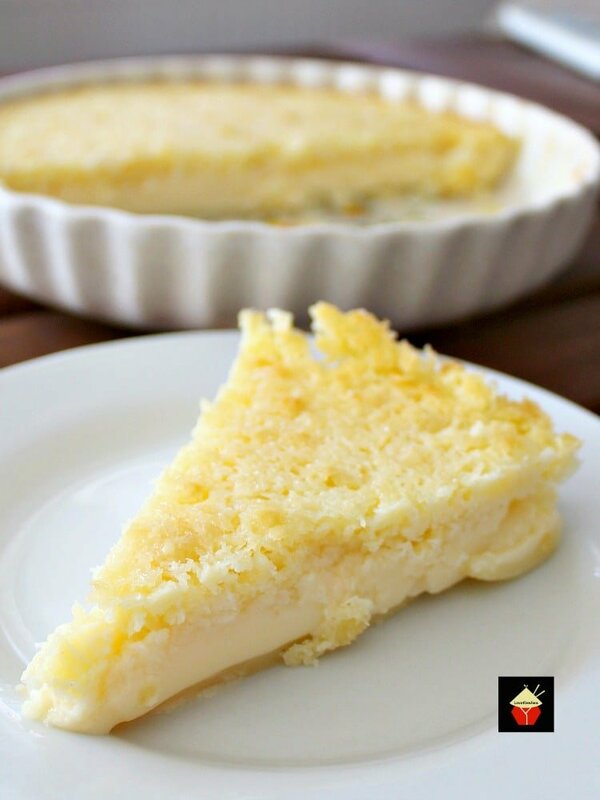 We’d love to hear from you and what you thought of our Lemon Impossible Pie recipe. Did you make any changes or add some other goodies? Let us know in the comments below. Thanks for reading and happy cooking! Notes: One of our Lovefoodies friends, Nanci Askew has made this recipe but WITHOUT adding coconut. Nanci advises to follow the recipe but HALVE the butter amount in the recipe and it will turn out perfect! Good to know if you have a non-coconut fan in the house! Thanks, Nanci for your suggestion! I took a close up photo of the top crust so you can see! It is so yummy! We’ve also made a lovely collection of Mini Impossible Pies. They’re great for parties or if you simply want a variety. There are 3 flavors, chocolate, orange and plain. They only use 1 batch of batter! Click on the photo to go straight to the recipe! 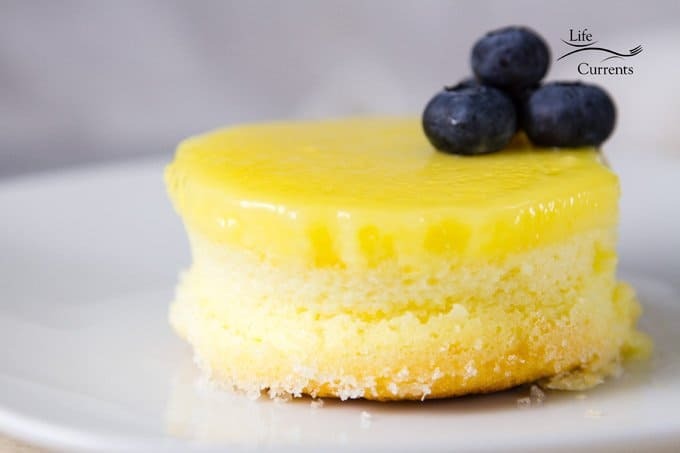 If you love lemon desserts, our friend over at Life Currents has an amazing recipe you need to make! It’s a Lemon Souffle Magic Cake. So delicious! Here’s some more really easy and amazing desserts for you to enjoy! Mix all ingredients in a bowl using a spoon or hand whisk. Pour into a greased and floured pie plate (about 8 - 9 inches size) and bake 350 F or 180 C or Gas 4 oven for 45 minutes. I place my pie in a baking tray in case of spills. When done, the pie will be slightly wobbly in the center. Remove from the oven and allow to cool, then refrigerate overnight if possible. This was lovely. I can’t eat dairy so used Koko milk and left out the coconut as I didn’t have any. The recipe I had said to bake for 35 minutes at 160 it was firm to the touch and skewer inserted came out clean. Once cooled it tasted good but was very soft inside it did not have the base as mentioned I suppose it needs cooking for longer. I don’t normally bake so don’t want to end up with a heavy cake . What should inside consistency be like mine was moist . I made this with the lemon and coconut and loved it and would like to try it with apples instead. I read comments where someone did this and commented that the cook time needed to be adjusted but no guidance for how long was given. Has anyone made this with apples instead that could let me know what changes need to be made? Hi! I really loved this recipe! I was actually wondering if I could use the picture for a school project. Thanks for the awesome recipe. I will definitely be making this again. Hi Rahel, yes you may use one photo, however, please make sure you credit the photo back to Lovefoodies.com in order to comply with copyright. Tried this recipe and it puffed up like German pancakes (Dutch babies) while baking, and then settled way back down as it cooled. Not sure if it is supposed to puff up so much. Next time I think I’d add a little more lemon juice (it just wasn’t quite enough for hubby and me). Because I used a smaller disposable pie pan to take to a wedding, I ended up with two pies (one came out just a very thin pie crust). I made a huckleberry glaze to put on the thinner pie and it was delicious! Thanks for this delicious and simple twist on a pie recipe! Would go well using oranges instead of lemons. I make orange meringue pie. Always a success. I have no bottom crust. Am I doing something wrong or is it truly impossible? I’ve made lemon impossible pie many years before. I was never able to get a bottom crust to form. I decided to try this recipe. I have a good oven so I thought it would work this time. I mixed it in a blender and let the batter rest for 5 minutes before baking. It rose significantly in the oven. When it cooled down it went back to normal. The top crust is amazing and beautifully browned, but maybe a bit too think. Too much coconut maybe (this recipe has twice the amount of coconut as some other recipes). The center was cooked perfectly. But no bottom! I’ve greased and flowered the (one piece) pan and let the batter settle for 5 minutes before baking. It only had a thing brown film, probably only the flower that was used to flower the pan. is this sweetened or unsweetened coconut? Hi Kris, I used unsweetened but you can use either. If you have a very sweet tooth then go for sweetened! Do you know if this would work with gluten free flour or baking mix? Want to make this for a friend, but she can’t eat gluten. I made this pie yesterday – it was overflowing in my 9″ pie plate – tried to put it in the oven and it spilled all over the oven door and floor. Well, I had to leave it in the oven to cook – but smoke starting coming out of the vents – so I opened the oven door and smoke smacked me in the face. All the stuff on the bottom of the oven was burning off. I then had to open the back door-so much smoke in the kitchen. After 45 minutes the pie was still wobbly, do I let it cook another 10 minutes. I took it out and let it set. About two hours later I tried to cut a piece and it was very thin, but tasted okay, so Ip ut it in the fridge. I made a mistake by not pouring into my deep dish. I still have the dirty oven – I have a self cleaning oven, but don’t think it will get the floor of the oven clean. What a mess!! I will make this again after a trip to Publix for more eggs!! I am 88 and know better!!! Oh gosh Mary! Sorry to hear about your ordeal. I was going to suggest next time you use a deeper pie dish but you already worked that out! Next time your pie will be perfect!! I halved the recipe, put them in 4 small ramekins and used 65g of sugar instead of 75g, baked 30 mins or so. They where twice as high as the ramekin when I took them out, then they shrunk back down when cooled. They look beautiful, I can’t wait to taste them! I will let you know. I just made this; it’s actually baking now. I’m going to bake it a little longer after reading some of the comments-about 15 mins. Can’t wait to try! Thanks for sharing.. I made this tonight — so easy and I know it will be delicious (it’s still cooling, as I type). I added extra lemon (I love lemon anything). 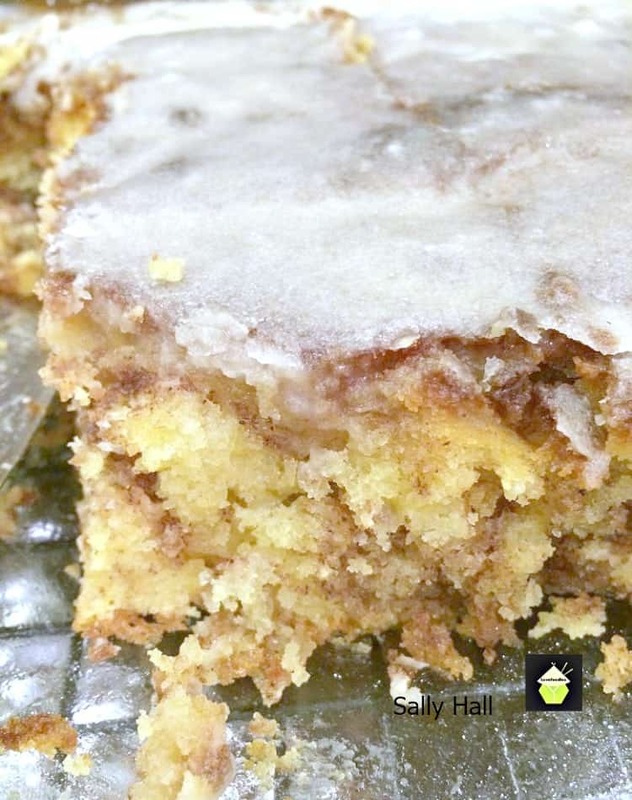 I make a cake similar to this using Bisquick baking mix. It’s amazing and never fails. I make two because my hubby eats one warm with a spoon! I love impossible pies! AND I love coconut but all my family doesn’t share that love. If I leave out the coconut, won’t it be awfully thin and flat? What else could I add instead? Hi Janet, it’s the coconut which does the magic in this recipe by forming the top and bottom crust. To be honest you don’t get a strong taste of coconut so I’d stil see if they will eat it. Maybe just don’t tell them there’s coconut in it and see what happens!! I haven’t tried making this with anything else so I’m sorry I’m not much help with a substitute. The bonus is if they don’t like it then you’ll have more for yourself! I have made this pie for decadez now. I leave out the coconut and use vanilla and nutmeg to make an egv custrd pie. 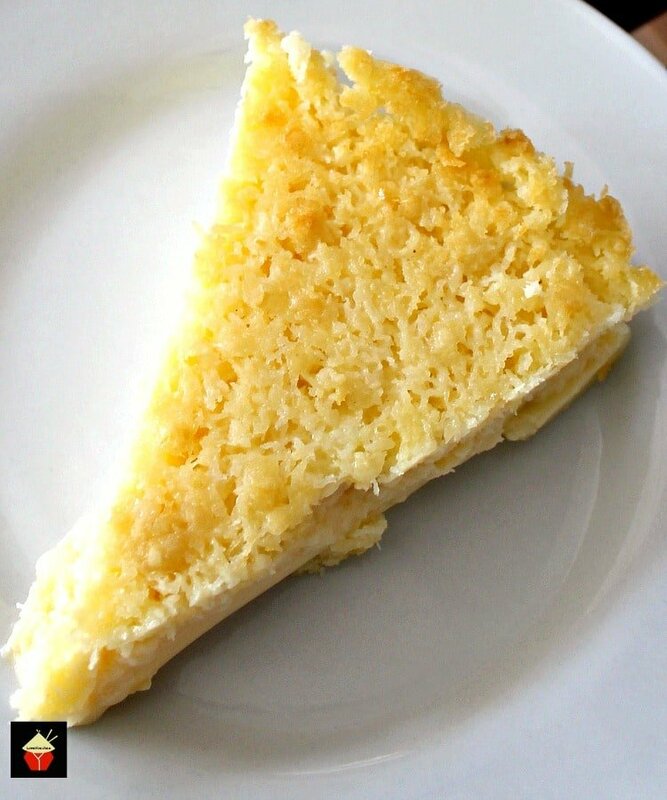 For a coconut pie, I use coconut flavoring and use about 3/4 cup of coconut dropped all over the top of the pie. The coconut toasts and gives a more coconut taste. I do not add covonut to the mixture. I make a butternut squash pie (the squash must be cooked before using), sweet potato, or pimpkin pie by using vanilla flavoring and pumpkin pie spices or you can just leave the spices out for a taste of the vegetables. (The plain vanilla only gives it a unique flavor.) I increade the flour I increase to 3/4 cup because if the ectra moisture in the vegetables. The consistancy comes out like you are eating the inside of the pie. Always place the pie on a baking sheet. Sometimes the pie will overflow, especially if you are using self-rising flour. Since I have found out that I have a wheat allergy, I use a gluten free flour muxture and the pie comes out fine. I also let my pies sit for 5 minutes before I bake them. Always refrigerate the pie!! After the pie has throughly cooled, cover in plastic wrap and foil. Since the pie is mostly eggs, it will pick up flavors from your fridge. I usually make 2 to 4 pies at a time. I bake 2 at a time for use at home and 4, if I am having company over. 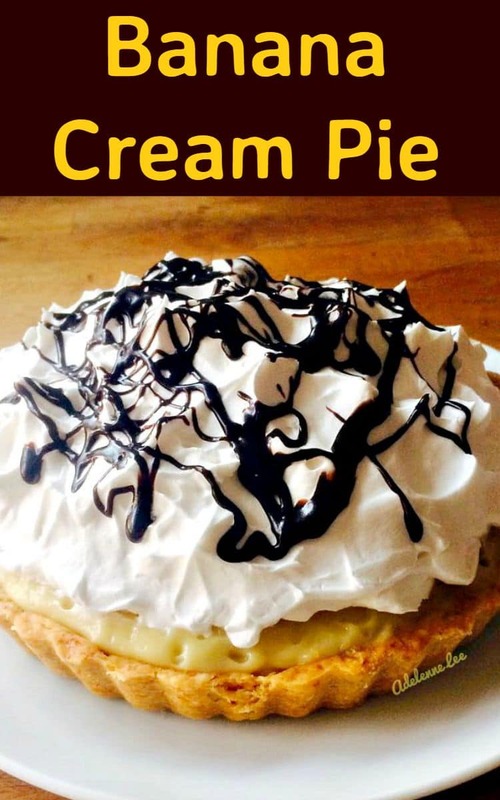 You can use whipped cream or ice cream on top of the pie servings. 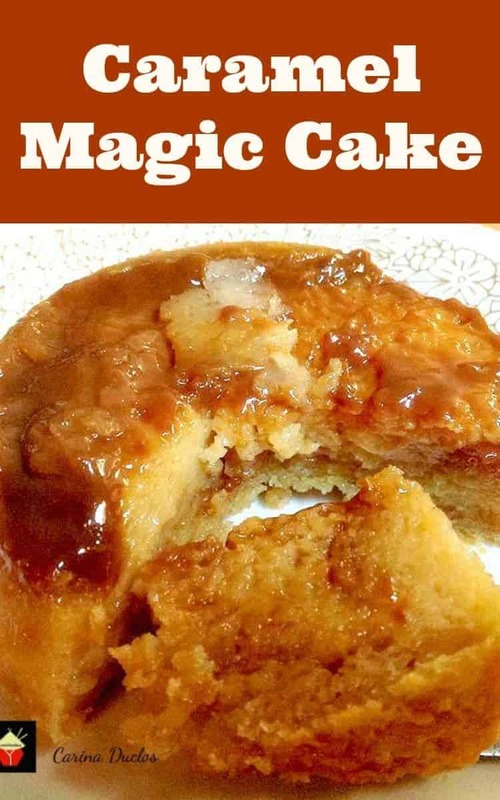 This is a very quick dessert to make and their is minimal cleanup. Does this need to be refrigerated? I made it today but will he serving it tomorrow. It looks delicious and we can’t waitbto try it! Hi Amy, yes! It needs to be refrigerated. Cover with some plastic wrap and it will be perfect for your Thanksgiving! YES. KEEP IT RECRIGERATED ( after it has cooled). With it being mainly eggs, the eggs will ruin and make you deathly sick. When I take this pie anywhere, i put it in a cooler with frozen watet or freezer containers to make sure it stays cold. When I get to my destination, the pie goes into the fridge. I made this followed all directions to the letter. Not successful. Wouldn’t come out of pie dish even though I gave it a good coat with flour. Was the same consistency throughout. Set for 12 hours in the fridge. Cracked and feel apart. I found it odd the the ingredients doesn’t list any kind of flour for binding. As I’ve never heard of this cake I didn’t know you severed it upside down. This information would of helped a bit. Why does everyone on Pinterest think only Americans use this app. I’m an experienced cook so this was disappointing as it sounded great for a quick desert. Will give it one more try. In the original ingredients list 1/2 cup of flour is listed. In the 2nd list, at bottom of page, the flour is not listed. Hi Kyon, I’m not sure where abouts you’re looking, but I just went to double check the recipe and I can see the flour listed in the main page and also at the bottom in the recipe card. The pie should be poured into a buttered pie plate. Also the pie has 1/2 cup of flour in it as a binder. If you let the pie sit for 5 minutes before baking, it gives the flour enough time to start settling to the bottom of the pie oan. Be sure to let the pie throughly cool, before wrapping and putting it in the fridge. The minumun cooling time in the fridge should be 2 hours. I try to let mine set in the fridge 3-4 hours before serving. I have made this pie since the late 60s. I have never had a problem with the pie. I bake at least 2 at a time. The pies don’t ladt very long at my house. I just put this in the oven. I used almond flour and coconut flour instead of all purpose flour (because this just looked so good, but we can’t have that wheat flour). Can’t wait for it to finish up and cool! I am allergic to wheat. I use a gluten free flour mixture, which is like all purpose flour. I try to keep the gluten free flour mixed with baking powder on hand to use in my cooking. I haven’t tried using almond flour or coconut flour with this pie. Just be sure to let the pie throughly cool and refrigerate at least 2 hours, before trying to cut. I made this yesterday and it tasted wonderful, but never separated into layers like it was supposed to. It had a consistency similar to bread pudding. I will still make it again because it’s delicious, but any tips on how I could get it to form the layers properly? Thanks! Let the pie sit for at least 5 minutes before baking. The crust is a thin layer at the bottom that helps the pie stay together when it is cut. Be sure to let the pie throughly cool and then wrap and refrigerate for no less than 2 hours, before serving. 3-4 hours refrigerating before cutting is better. Be sure to keep tge pie refrigerated to prevent spoilage. Impossible pie is truly one of the most versatile recipes ever! It’s so forgiving that you can use any milk at all, almond, soy, rice, coconut as well as dairy. I often use the plain batter recipe poured over fruit (chopped Apples, chopped rhubarb and strawberries etc.) with or without the coconut. Adjust sweetness for more tart fruit. With fruit or vegetable bake it in a larger square. For a veggie version, leave out sugar and coconut and add a little grated sharp cheese to the batter. Pour batter over broccoli, cauliflower, parboiled carrot coins etc. or mixed vegetables. Top with more shredded cheese. When the batter is poured over fruit or vegetables you must bake longer of course. It makes very tasty quick desserts as well as side vegetable dishes that certainly are not boring!! Cheers and thanks for posting one of my all time favourite batter recipes! I brown ground chuck and 1 chopped onion. Drain the meat, then add taco seasonings and throughly mix add green chilies to taste then pour over the egg mixture (without the sweet pie sugars and spices). Then top with the shredded mexican cheese. I bake for 40 to 45 minutes to have a main meal. This mixture is so versital to use. Bisquick coined “impossible pie” recipes because you use bisquick instead of flour. They came out with their recipes back in the 70s for several different versions of impossible pie. Do u think you should get their permission to use that title? In any case, your recipe looks scrumptious. Actually the recipe is older than the 70s according to other web sites. And Bisquick did not develop it, at least according to other web sites. Someone’s great grand mother did. Maybe it’s just a generic name for a pie method now. I’ve seen this on lots of other sites too. It gets the “impossible” name because it makes it’s own crust. I have been making tbis pie since the late 60s or early 70s. I think the recipe came from either the 4-H club or the Home Economics state office. I agree with your comments Debra I needed to try and change the recipe as I had a gluten free guest coming to eat. Thought I would just share my change in the ingredients for info. I can’t wait to try the recipe above as the polenta substitute was good so I expect the origional recipe to be even better. It’s great to share experience and not everyone’s taste is the same so I suppose one recipe does not suit all. But Thankyou whoever for posting the above recipe can’t wait to try. Hiw would you use polenta? I’m also gluten free and appreciate not only this recipe but suggestions to make it gluten free. I totally disagree with you on this. Complaining and criticizing is one thing, but I really appreciate comments sharing their feedback on how it turned out and changes they made to fit food restrictions. It helps me decide whether or not to try a recipe. Some food bloggers do this for their job, and comments with feedback come along with being a food blogger! Sites like Food Network are filled with feedback, and that is part of what makes them a valuable resource to readers! Made the “lemon impossible pie”, followed the recipe and I thought there was way too much butter in it. When I took it out of the oven after 45 minutes the butter ‘pooled’ in the middle of the pie. Too greasey for my liking. Could you substitute anything for the flour to make a gluten free version? I added polenta however it changes the look of the cake and I do think I cooked it a little long even at the 45min reccomended it was still nice tho but more solid and less I believe ‘custardy’ I will have to try the above receipe now and compare. Just use a gluten free flour mix. I am sevrrely allergic to wheat. I have no problem with the gluten free flour. I have been making the Impossible Pie recipe (no lemon) for many years and it has always been a family favourite. It’s basically a custard pie and the small amount of flour forms the very thin crust. The two cups of milk (calls for a tin of Carnation milk in my recipe) makes it very rich. You can also buy 2% Carnation but I have never tried it in this recipe. I use unsweetened shredded coconut. Bake for one hour and it turns out golden brown all the time with the coconut rising to the top and the custard at the bottom. I serve warm with fresh fruit (mixture of blue berries, raspberries and strawberries) and a dollop of whipping cream. I am definitely going to try the lemon version. This pie recipe is so versital for both sweet pies and savory pies. I, too, have been making this pie for years. 45 min. so i baked it an extra 20 min..also, i think i will use 6 tablespoons of butter next time instead of 8.
tastes yummy. i will definitely make this pie over and over again! The sides and bottom do not brown like a regular crusted pie. Just be sure to let the pie dit for at lease 5 minutes before baking. The sitting time period allows the flour to start settling to the bottom of the pie psn before baking. I have let mine set for clise to 10 minutes before baking. Just made this for Easter dinner. Turned out great!! I was so skeptical, but it was perfect. I ended up using the juice of the whole lemon and I didn’t taste any lemon at all. It’s definitely like a coconut custard pie. Will make this again. My husband asked ate two slices! Thank you! Just add 1/8 to 1/4 tsp lemon flavoring for more of a lemon flavor. Just be sure to not overdo the lemon ot uou will have a bitter tasts. You can also leave the coconut out too. Id like to double the recipe and use a 9×13. How long would you personally bake it? I’m just guessing an extra 15 min. The pie is too soft to be used in a baking pan. I bake 2 to 4 pies at a time, when I need extra desserts. The pies will still only need 40 to 50 minutes to cook. Just jiggle the pies and the center should jiggle something like jello. The pies will firm up when refrigerated. Be sure to let the pies throughly cool and then wrap with plastic wrap then foil to prevent the eggs from absorbing fridge odors. Has anyone tried making this with coconut milk instead of regular dairy milk? Just wondering if it would add a noticeable coconut flavor. I haven’t tried using coconut milk in this recipe, but I have used the coconut milk in other recipes. The only thing that may be a problem is with the butter. Try using less butter, because of the oilness og tge coconut milk. My husband hates coconut, but is such an easy dessert, is there anything I could substitute? Just leave out the coconut and use vanilla flavoring and nutmeg. This will make an egg custard pie. It snould not be a problem. Hi! Looks amazing. This might sound silly, but is there a pie crust on the bottom? From the picture it seemed like there was a bottom crust. Thank you! Hi Suzanne, It forms it’s own pie crust. Take a read in the introduction of the recipe, I describe what happens! Can it be made without the coconut? I make my Impossible pie using self rising (raising) flour and usually sweetened coconut flakes. Although once I used unsweetened and it tasted the same. 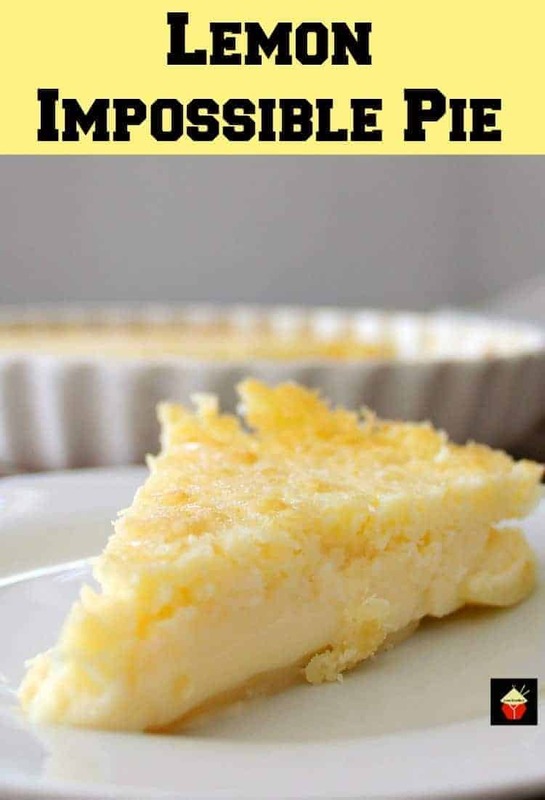 Lemon Impossible Pie..Looks amazing!! I don’t typically drink/use milk anymore. Do you think this would work with Almond Milk? Hi Lana, yes, almond, soya and rice milk work well! I made it with almond milk and it came out excellent. I got so excited to see a lemon pie, then instant disappointment when I saw coconut.. Any way to substitute?? I think almonds would work well. I took this lemon pie recipe and made it sugar-free I’ve been a diabetic for 50 years I have a sugar free cookbook everything worked out good this pie was delicious everybody that had a piece loved it !! Hi Kip, my bro in law is diabetic and Id like to make this for him. How did you do it? Can you make the mixture ahead of time and then freeze it until you are ready to bake? I am doing a dessert buffet for my wedding, and we are trying to get as much done ahead of time as possible! I would not advise freezing the mixture because it contains fresh milk and eggs which will spoil when frozen. The only thing I can suggest is to try baking it first and then freezing, but I haven’t tested that myself so if you have time, you could make a ‘test’ on before your wedding and freeze it overnight and then see what it turns out like once defrosted. Congratulations on your wedding and I hope you have a wonderful day! I just made this for Christmas. Came out beautiful! I used a whole lemon and zest. Half the amount of butter. Thank you so much for this decadent pie. Merry Christmas from Cape Cod! 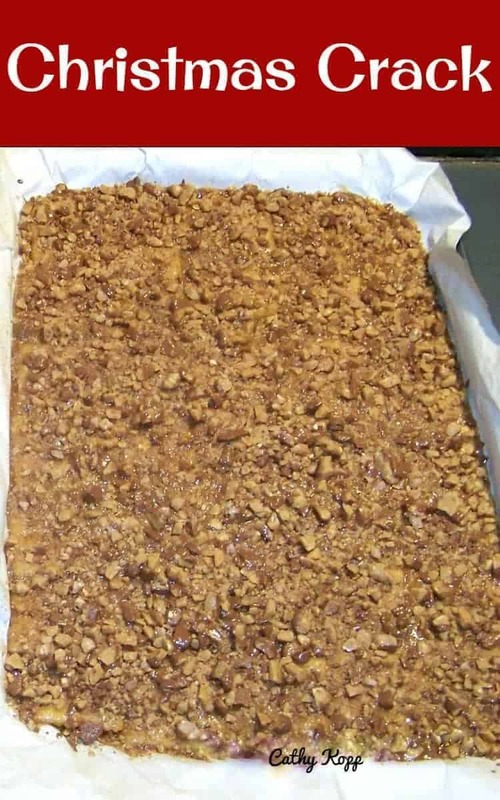 Hi Donna, glad you enjoyed the recipe and Merry Christmas to you and your family too! Did anyone come up with a replacement for coconut? Wonder if ground almonds would work? Any other ideas? I have been making this pie (without lemon) for years! My sons love it! I mix it all up in a blender, works great! Will try it with the lemon next time. I made the pie as directed in the recipe in a 9 inch pie plate except I added a little more lemon juice and zest. It came out perfect, but next time I will amp up the lemon a bit more. It was light and delicious! Thank you! If you are going to post to a web site in USA, please use our measurements and don’t use metric measurements please. It is a pain to convert to us measurements. You seriously went to the trouble of writing this comment? Look it up. There ar eplenty of tools to help with that. Bonnie, if you take a look at the ingredients list, both Imperial and Metric measures are listed right beside each other. If you want to post a silly, whiny comment at 1:28 in the morning, please close your computer and sleep on it. I don’t think there is such a thing as a USA website. That’s why it’s called the World Wide Web or www. We can’t claim ownership Bonnie. Metric is the only way to bake with precision! Get a food scale and bake like a real baker! Bonnie, though this is an old post, thought I’d comment anyway, since a lot of people share your thought. I understand your frustration, but then those who use the metric system would have to deal with the problem. I printed out a conversion chart and taped it to the inside of a cabinet door. Love this idea, but wondering if coconut milk would work as a non dairy option? Hi Lisa, yes, coconut milk will be absolutely delicious! If you were here right now I would hug the heck out of the.Thank You, enjoyed it. If you were here , I would hug the heck out of you.Thank’s. Ha! Thanks Rebecca, glad you enjoyed it! My impossible pie was just that. I think half of the butter would work. Mine was reeking butter and the bottom was soggy. No crust except on top. I did add lemon flavor instead of vanilla. I don’t know if I will try again. Doubtful. The pie was okay but I will use more lemon juice and zest next time. I doubled the lemon and zest but it was not lemony enough. I served it with a little bit of whipped cream. Decadent!!! It was all puffy when it came out of the oven, but settled down once it cooled. I thought it was kuje a custard pie and rather “blah”, so next time I would definitely use the whole lemon and the zest. I also would add a little more vanilla. I was thinking that perhaps a little pineapple juice would work since there is coconut in it…. This literally just happened to me. It’s really poofy and big, like a souffle. Hmm. Just pulled my first Impossible Pie from the oven. Cannot believe the three differing layers of scrumptious yumminess came from this so simple recipe. The hubster has already requested I make this one again. Tried to make this pie and ended up with something that rose a good inch out of the pan. I didn’t change the recipe at all except to add a little extra lemon zest. It’s also leaking out of one side. What did i do wrong, anybody know? update: shortly after removing it from the oven it collapsed completely in the middle. It also looks like it got somewhat separated, as it’s still quite wet in places. Perhaps I over whisked it? Interesting tasting pie. Simple recipe. Lemon needs to be doubled or tripled. In the US, all butter comes in paper-wrapped sticks. The paper has tablespoon lines drawn on it. Lovely to find precise measurements as we Brits don’t use cups, but 8 tablespoons of butter? How do you measure butter by the tablespoon unless you melt it first? Hi Deborah, I use metric measures also, and 8 tablespoons of butter is around 105 g. Hope that helps! My mother had a recipe like this and it called for using 2 whole washed lemons, seeds and all, and all mixed in a blender. Pretty tasty. Have the recipe somewhere so will look it up and make it again. Will this recipe work with a gluten free flour blend? Such as rice flour blends? I haven’t tried the recipe using G F Flour, however, if you’re used to substituting, it should be ok. This pie does not ‘rise’ like a cake would, and there is not a huge amount of flour, so I would suggest to give it a go. Please do report back with how it goes, so others may be able to try it too! Hi Angeline, you can choose either, whichever you prefer! Just made the lemon impossible pie it looks and smells delicious, can’t wait to try it, thank you. Can something other than coconut be used? Not a coconut fan. Thanks! Hi Teresa, I haven’t tried this recipe using a substitute for coconut, however, I do recall someone has made this leaving it out altogether. The crust won’t have the same texture (because it is the coconut which makes the top crust), but you could try it. It is in the comments below. Hope that helps! Made this on Saturday for guests and it was awesome. I used a whole lemon. We baked at 180 C and next time i’ll do it at 170 thats the only change i’d make. Thanks again and so happy you enjoyed the pie! This looks incredible! I wonder if it would come out ok using almond milk instead of regular milk? Thanks Galiah! yes, any milk will be fine, I have used soya milk and it was perfect. the taste will of course be slightly different but I don’t think you would really notice too much 🙂 Please enjoy! Is this a crustless pie? Hi Rita, yes it is. If you read the description at the beginning of the recipe, I explain it all there along with the photos 🙂 It’s so delicious so I hope you will be able to try it soon! I used this recipe to make 2 pies instead of one, cook time was less but they turned out pretty yummy! Thanks once again and enjoy your Sunday! There’s a good bit of flour residue on the pie plate, might I have too much? And is flouring the pan necessary or does the flour help in the pie rising? I used some sour orange juice – don’t use regular orange juice your pie will be much too sweet. It just came out of the oven & now we have to wait for the cooling. The house smells yummy! Hi there, when you have greased and floured the pie plate, you need to tip out any excess flour. This method just stops the pie from sticking to the plate after baking (because it forms a crust). There is already flour in the batter, the pie doesn’t rise much at all because there isn’t any raising agent, but the flour will help to keep all the wet ingredients together. Your change of the orange juice sounds lovely! I have made another pie using orange juice and zest and it was really delicious so I hope you enjoy the pie too! line with my dietary guidelines. Thanks for the recipe! Thanks very much for your tips and adjustment to the recipe Jeanette. Hopefully it will help some others who may need to switch a few things for their diet too! Thank you , that reduces cholesterol and eliminates the gluten. I may try it with tapioca and coconut flours. Usually you have to add cornstarch to substitute for fatty milk or it won’t solidify. I may also try fat free condensed milk using the cornstarch trick. Do you know how I can thicken store bought lemon pie filling a little more so it sets uo? Can I just add coconut or do I just bake it. Wanted to use on graham crackers crumbs for the crust but the pie filling is to wiggly. Not thick enough. Hi Claudia, yes indeed. It is quite easy to do. Pop the filling in to a saucepan and heat up gently, and in a cup, add 2 tablespoons of cornstarch/cornflour along with 1 tablespoon of cold water. Take a spoon and stir that mixture until it is all combined. Then, when your pie filling starts to slightly bubble from the heat, add HALF of your cornstarch mixture and stir stir stir! (If you don’t stir, it will all go lumpy). Whilst you stir, over the heat, you will see the mixture start to thicken. Wait til it slightly bubbles again, If the mixture is as thick as you wish, no need to add any more of the cornstarch mixture. If it is still too runny, add some more, keep stirring and bring it back to a gentle boil. Then allow to cool for whatever you want to use it for. Adding the cornstarch mixture a little at a time will allow you to get the pie filling to the thickness you want. I hope that helps! By the way, you can use this trick for thickening soups, stews, gravy etc too! I made this pie this weekend and am now deleting it from my pinterest files. It was no where close to being a lemon pie. I even added the extra lemon juice. More like an egg custard with coconut with no pie crust. I think a pie crust would have at least made it a little better. Sorry folks…..not for me. I also made this exactly as it said and it did not turn out as it said. There was no crust and the coconut did not rise to the top. It tasted like a lemon egg custard. It was ok but I would not have made it for company. Very disappointing – not a great texture and quite bland. Made based on previous reviews – not worth the very little effort it took. looks lovely! is that salted or unsalted butter? Hi Siew, for this one you see in the photo, I think I used unsalted, but I have used both and it really doesn’t matter for this recipe. It will turn out just fine! Happy New Year to you! My pie looks oily so I double checked the butter and it does call for 8 T. I’m hoping once it spends overnight in the refrigerator it will firm up? Can you use almond milk (or any non-dairy “milk”) instead? Hi there, we haven’t had any reports of non dairy milk being used, but I can’t see why it wouldn’t work! Obviously the taste will be different, but if you are used to using different milk I imagine you won’t notice the difference in taste. Please do pop back and let us know if you do change the milk so it may help others in the future. Wishing you a lovely weekend and a Merry Christmas! I have made this with soy milk before and it worked perfectly! I assume other milks would be similar. Hi Laura, That is very helpful! Thanks so much for taking the time to let us know. Much appreciated. This sounds great, as I live in Australia the flour is it plain or self raising and also the weight of the butter please? Hi Robyn, for the flour, ALL Purpose or simply where it states ‘flour’ (often you see this in US recipes), it means Plain Flour. For the butter, 8 Tablespoons is roughly 110 grams. Hi there! I read somebody made the pie without coconut and reduced the butter, right?. You don´t need to replace the coconut, do you? Hi Patsy, as far as I’m aware, Nanci didn’t replace the coconut with anything else. The only difference without (apart from the taste of course) is that it won’t form a crispy top crust like you see in the photos here, but will be more like an egg custard tart, which has a smooth crust. Hope that helps and please do give us an update so we can share with others if you decide to change the recipe! Thanks for writing in and wishing you a lovely day! Hello Susanne from Holland!! Only 15 minutes and it will be cooked! I made another one yesterday afternoon and couldn’t wait for it to cool normally so I ended up putting it in the garden, covered of course!! in the cold so by the time it was dessert it was nice and chilled! Please enjoy and yes, by tomorrow morning it will be most lekker!! Sounds great Suzie! Please enjoy and Happy New Year to you! Did you know the readers…me anyway….. can’t actually read the recipe because of the social media bar sliding down the left side of the page? Hi Janice, Thanks so much for your feedback and Apologies for this problem. Are you using a mobile phone, tablet or computer? We just updated the whole website to make it mobile ‘friendly’ and obviously it must need tweaking if there are still some snags! Please let us know what device you are using and we will get our tech people to get this fixed as soon as possible. We appreciate you letting us know so we can deal with these snags as and when they arise! What kind of milk did you use (whole, skim, etc.) or does it not matter? Hi Angela, I don’t think it will really matter apart from if you use whole fat milk, the pie will taste a little creamier than if you used skimmed, but not that noticeable. I used semi skimmed because that is what I have at home all the time, so use whatever works for you. It will still turn out perfect 🙂 Have a super Sunday! I intend to add a whole lemon too when I make this. It seemed as if the recipe was more coconut custard than lemon impossible, although I dearly love both. Hi Jean, yes! Please do add more lemon if you prefer a sharper taste of lemon. As you know, with lemons and limes it is ‘impossible’ to please everyone (sorry for the joke!) but I am sure you know what I mean as far as preferences go. I’m glad you like the recipe. I made an orange one this afternoon and that was really nice too. So many variations with what you can do. Thanks for writing in and have a super weekend! I just made this. I assumed the butter was melted and then measured into the ingredients,right? Hi Maggie, yes indeed. I should have put that in the recipe as it isn’t obvious. I have added the ‘melted’ part now. Thanks so much for querying, I appreciate it! I hope you enjoy it as much as we do. I am making another one tomorrow for some friends who are coming over for dinner. It’s certainly very popular so please do enjoy! Thanks once again for writing in. This is great! I wonder if I could make it dairy free and gluten free! Might have to have a go! Thanks for the recipe. Hello, have made this yesterday with gluten free flour and almond milk and it turned out perfect, a delicious dessert, think I’ll make some raspberry sauce to serve with it next time just to add to it, great fecipe thank you. Hi Patricia, that is great feedback. Thank you very much! As you see we do have some asking about the GF side of things, so this is going to be so helpful for others! I think your idea of the raspberry sauce will be a perfect pairing for the taste and the color will be magnificent! Thanks so much for taking the time to write in, and wishing you a lovely rest of your week! Here’s a trick I learned years ago making custard pies……( &, making a royal Mess…lol)…place your pie plate on the on oven rack…Then, pour the custard in the plate & carefully slide the rack carefully back into the oven. It has really saved me countless messes ! I hope this helps some of you. That’s a great idea! I always pop in a tray too in case of any overspill, but I know EXACTLY what you mean about making a mess with the custard on it’s way to the oven! I’m just curious as to what size pie plate you used for your recipe. I poured the filling into an 8-3/4 inch pie plate and couldn’t get all the filling into it. I also had to use a small 8 oz. casserole to put the rest of the filling into. I also used the zest and juice from one lemon. Now I’m waiting to try them! Hi Jan, the dish you see in the photos is a 9 inch quiche dish. When I filled it , it did come right to the top, so I had to be careful transferring to the oven. 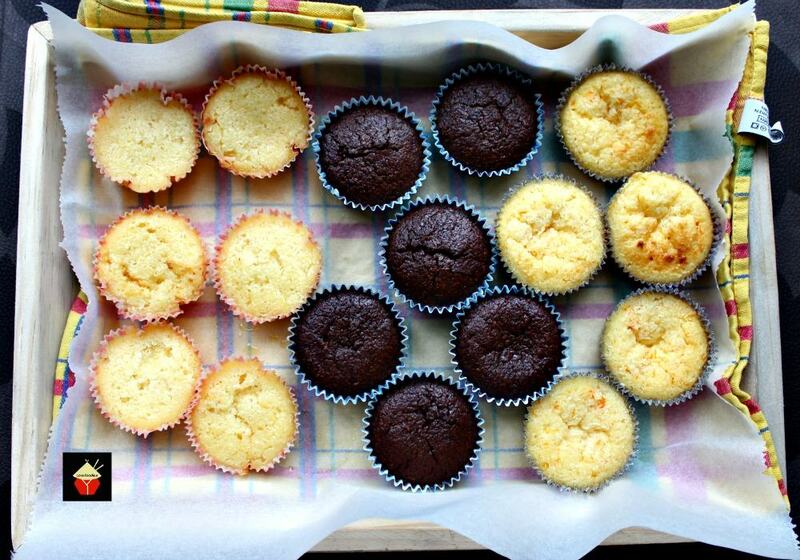 If they’re baking now, do keep an eye on the smaller one, as you know the cook time will be less. I hope you enjoy it as much as we do. The hardest part was waiting for it to chill!! I used one lemon, juice and zest and unsweetened coconut. It was sharper and delicious. Hi Kathleen, That’s good to know! I made it using half a lemon as you know for just the gentle taste but of course some like sharper and some not! (I’m a sharper fan!). I’m going to try one using limes next time. I think that with the coconut will also taste delicious! Thanks very much for your feedback. I know it will help others who may be want a sharper taste. Hi there! Yes indeed! The pie is quite sweet anyway, so it shouldn’t be a problem at all! I’ve just finished the last slice of this pie and it was so delicious, I hope you’ll enjoy it as much as we have! This is a great recipe but definately needs more lemon flavor. I doubled the amount and it’s still not enough. I will have to experiment. Thanks for the recipe.